Many people look at me with a stunned look on their faces when I tell them I am a mother of 3 with my oldest child being 16 years old. The truth is... I was a teen mom! I gave birth to my daughter just before I turned 19, I was a senior in high school who played sports, had a love for dramatic arts and English and I was also a part of a dance group. 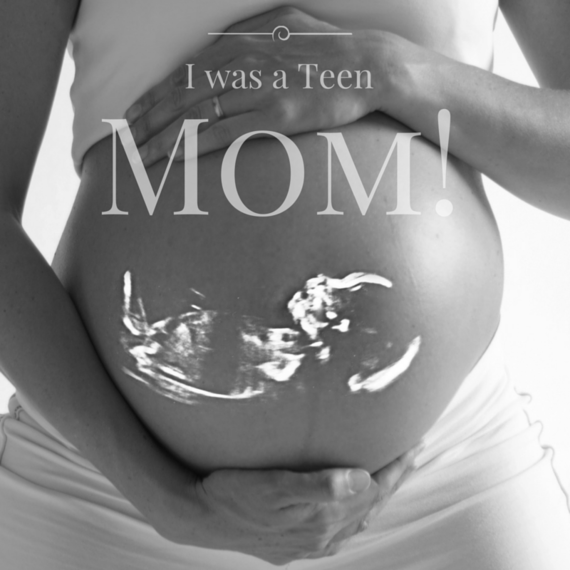 When I turned 18 my mother's worst nightmare came to pass, when I came back home pregnant. I had not completed high school and I had aspirations to be a successful strong Black Women in the Law field. Being a teen mom, no one could have prepared me for the twists and turns my life was about to take, sacrifices that needed to be made or the struggles and tears I was about to embark on, while preparing to bring a life into this world. I know many are wondering as you read this post what part the biological father played in my teen mom journey so I will give you a bit of history to get that part over with. I met him when I was 17 and he was 21 (yes I know, so don't bother with the gasps) -- looking back at it now he was really old! I lied just like every other teen girl "in love" does about where I had met him. My mother never approved of him but that didn't stop me from being with him, in fact it only pushed me closer and harder at pursuing a relationship that later became abusive, dishonest, and dangerous. At that time when I met him, my mom had just packed us all up and moved us all out of the family home the day before from a similar environment I had put myself into. Looking back it was clear I was seeking the acceptance and love I never received from my father growing up. When my mom found out I was pregnant of course I denied it at first, I wore pads to fake my period and went as far as putting red dye in pads before I threw them in the trash to cover my "no I'm not pregnant" story. But a mother knows everything and she quickly called my bluff. The cat was out the bag and her teenage daughter was now going to be a mother. During my pregnancy I still attended my Catholic high school however no one knew I was expecting. At 7 months after a pregnancy-related scare and bedrest, I withdrew from high school and enrolled into a school specifically for pregnant teens until the end of my pregnancy. It was mainly my mom that looked after my every need I had during my 9 months of pregnancy, from doctors appointments right down to getting on her hands and knees over the bath tub to bathe me, her 18 year old daughter who was carrying a daughter of her own. I knew all along that this wasn't what my mom envisioned for her teenage daughter but it was done, the baby was coming and my mom was my biggest support system I had. After giving birth on January 3, 2000, I was living with my mom until KJ was about 2 years old. I still had not finished high school, I wasn't employed and I had a kid to look after with no reliable help from the biological father. I had to make a choice to go on government assistance to move into my own space and provide for the both of us. It was a rough couple years of motherhood, I struggled financially and fell behind on bills and rent, ended up getting evicted from my apartment because the money I would get monthly from the government was not nearly enough to pay rent, utilities, buy food, and pay for bus fare, during that time I quickly learned how to be selfless, sometimes when I didn't have enough to eat and my pride and fear of going to my mom to ask for help I decided to put my pride aside and go to food banks for help. My mom did help in anyway she could and without her it would have been a lot tougher than it was. Being a teen mom I did not let that stigma keep me back from doing things I needed to do to make a better life for the both of us. I went back to school to obtain my high school diploma, I found a job that paid enough to meet all the needs of myself and KJ to live comfortably which got me off of government assistance. That was the biggest accomplishment for me I can remember when I received my first paycheck and bills were paid and up to date, I bought myself my first TV with my own paycheck. Over the next few years I worked hard to get ahead. I relocated to Toronto leaving KJ behind with my mom while she completed school so I could get myself situated and stable. That was the hardest thing for me to do in my life because I left KJ at a time where she needed her mommy the most, I missed a lot of milestones that I will never get back. To this day I still beat myself over it but I know and I knew deep down it was the best decision I made. I met my husband when KJ was 3 turning 4, from day one I knew he was a blessing to the both of us. At that point her dad was out of her life more than he was in it, I resented him a lot for his lack of responsibility but he knew no better himself. He made me feel used when all I wanted was love, he abandoned KJ when all I wanted was for her to feel safe. My husband who was then just a friend I "liked" repaired my broken heart and trust issues, he demonstrated what a real man and true father was suppose to be. He was there to dry KJ's tears when she was down, spent time with her and although she was not biologically his, he treated her like she was his flesh. Being a teen mom taught me a lot, it molded me into the woman I am today. I know what struggle is, I know what having no money feels like, and I know how to work hard for what I need. Being a teen mom didn't mean I was lazy and didn't want better for myself, it didn't mean I was promiscuous and it certainly didn't warrant for the stares, comments and rude thoughts people had about me. 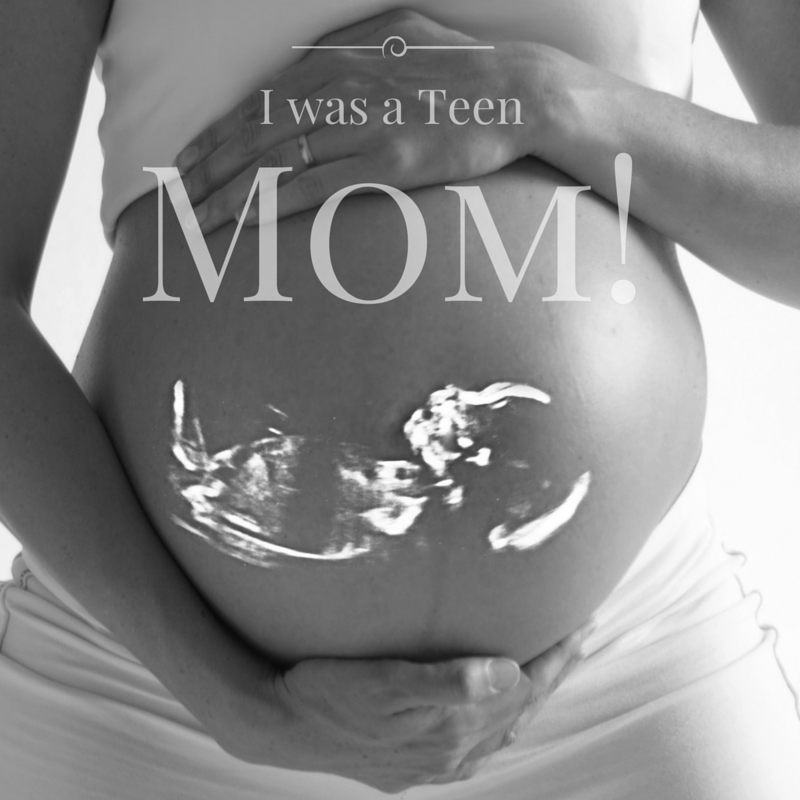 Being a teen mom didn't mean I was raised badly either all of these stigmas are still present among our teen moms today. Now that I have 3 kids, 2 of them being girls, I always teach them the importance of getting an education first before committing to a serious relationship, I teach them how to value and respect themselves and most importantly the struggle and fears I had being a teen mom. I don't have regrets because I learned a lot and I love KJ with my whole life. However If I had the chance to wait till I was older and more aware of life and what it entailed I would. I was a teen mom!